If you stepped foot inside a grocery store in the month of January in Austin, then you should have noticed the pre-packed bags of food that were available for purchase and donation at area H-E-B, Central Market and Randalls stores. The results of the massive Souper Bowl of Caring effort are in – 835,000 pounds of food (at last count)! They’ve run out of room at the Capital Area Food Bank‘s 60,000 square foot warehouse, so the non-perishables are sitting in trailers in the parking lot. I headed out this past week with a group from the Austin Food Blogger Alliance and we powered through a 2 ½ hour work shift that got somewhere between 9-10 pallets of food (almost 10,000 pounds) ready for the shopping list that is distributed to partner agencies. It was lots of fun, a great workout for my lower back and arms*, and it just felt good to put all that energy into something that ends in a better meal at a family’s table. They still need help (about 80 more shifts like the one we pulled together last Thursday) to get all the food unloaded, sorted and labeled so that they can get it delivered to the all their partner agencies. 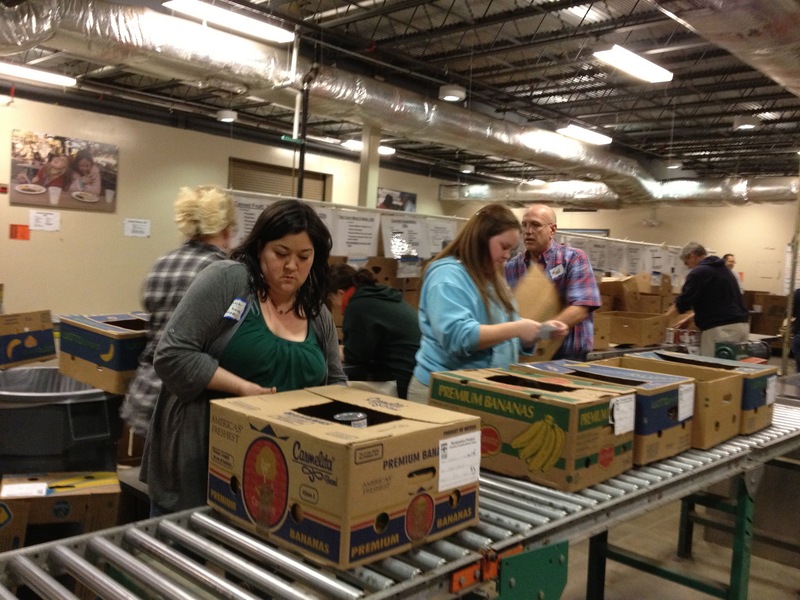 There are shifts available throughout the week and weekends, but volunteers are most needed Monday through Wednesday. Those shifts are from 9 am – noon and 1 – 4 pm. Register online if you can help.